Mixed martial arts is far too complicated when you add X’s and O’s – as well as press conferences/beauty pageants to promote pay-per-view broadcasts, for that matter. That’s why Nick Diaz (Pictured) intends to execute the exact same strategy he’s always utilized when he meets BJ Penn this Saturday at UFC 137. “I’ve gotta win these fights,” Diaz said. “I don’t think it matters what I do, I think I gotta win. In regards to how he intends to get his hand raised this weekend inside the Mandalay Bay Events Center in Las Vegas, Nevada, Mr. 209 will take the most simplistic approach possible. 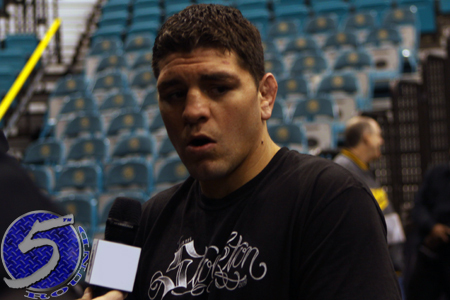 “I have the same game plan every fight, and that’s to win – win the fight,” Diaz flatly stated.